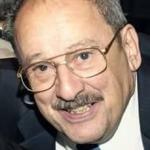 Edward (Ed) Gimbrone, 83, of Center Street, Salamanca, New York, passed away following a brief illness early Tuesday morning, April 9, 2019, at Olean General Hospital, Olean, New York, surrounded by members of his family. Born on February 16, 1936, in Buffalo, New York, he was the son of the late Charles and Mary (Cirrito) Gimbrone. His parents’ families were both from Caltavuturo, a small village in Sicily, though the families did not know each other until immigrating to the United States. In 1945, Charles purchased 100 acres of land in East Otto, New York, and moved the family out of the city to what became known as “The Farm.” Mr. Gimbrone attended school in Cattaraugus, New York. On August 2, 1954, he entered the United States Marine Corps, reporting for training at Parris Island, South Carolina, where he rose to the rank of corporal and was awarded a Good Conduct Medal. In February 1962, he married the former Linda (Lyn) Dayton, his wife of 57 years, who survives. Mr. Gimbrone began a lengthy career in law enforcement on February 13, 1963, with the Salamanca Police Department, serving the community for 43 years under seven different mayors. Mr. Gimbrone was appointed Chief of Police for the City of Salamanca on September 1, 1985, and served in that position for more than 20 years until his retirement on February 28, 2006, at the age of 70, which was the state mandated retirement age. Beginning in 1975, Mr. Gimbrone served for many years as president of the Salamanca Police Unit of the Cattaraugus County Chapter of the Civil Service Employees Association. He was an active member of the New York State Association of Chiefs of Police since 1986, as well as a lifetime member of the Cattaraugus County Association of Chiefs of Police. He was also a member of the Salamanca Area Kiwanis Club for 28 years, previously sitting on the Board of Directors. Since 2004 he was an active member of the Cattaraugus County Democratic Committee. Mr. Gimbrone developed a passion for Ford vehicles, starting with his purchase of a new Ford Fairlane in 1957, and he passed that passion along to his beloved grandson, Kristopher Gimbrone. In 2007, he became a partner with his grandson in the Coldspring Deli in Steamburg, New York. Those who knew Mr. Gimbrone well know he had a witty sense of humor and continued to be as sharp as a tack throughout his life. He traveled to many places throughout the years, oftentimes visiting areas where his son, a colonel in the United States Air Force, was stationed. His travels took him to places like Alabama, Arizona, California, Texas, Hawaii, Washington D.C., and many European destinations such as England, France, Germany, Italy, and the Czech Republic. One of his greatest travel adventures was walking down into the Grand Canyon and spending the night in the Phantom Ranch at the bottom of the canyon. He was predeceased by fourteen brothers and sisters, with one surviving sibling, Charles (Chuck) Giambrone, Salamanca. Also surviving besides his wife are three daughters, Toni (Don Curren) Gimbrone, Horseheads, New York; Karen (Todd Strzepek) Gimbrone, Salamanca; and Kathi Gimbrone, Salamanca; one son, Michael (Jennifer) Gimbrone, Ewa Beach, Hawaii; three grandchildren, Kristopher Gimbrone, Salamanca; Meagan (Daniel) Rogers, Cincinnati, Ohio; and Chelsea Gimbrone, Ewa Beach; and four great-grandchildren. In lieu of flowers, donations can be sent to Southern Tier Wounded Warrior, c/o John P. Miller DPM, 2646 West State Street, Suite 400, Olean, New York, 14760. Friends, former colleagues, and community members may call on Wednesday (April 17, 2019) from 4:00-7:00 PM at the O’Rourke & O’Rourke Inc. Funeral Home, 25 River Street, Salamanca, and again on Thursday (April 18, 2019) from 9:00-11:00 AM. Funeral services officiated by Reverend Michael Trenchard will begin at 11:00 AM at the same location immediately following the Thursday calling hours. Burial will be in Crawford Cemetery, Town of Salamanca (Center Street Extension), New York, immediately following the funeral. Full law enforcement and military honors will be provided by the Salamanca Police Department, American Legion Hughes-Skiba Post #535, Veterans of Foreign Wars John Ahrens Post #5296, United States Marine Corps, and several other law enforcement and military organizations. E-condolences can be sent to orourke.orourkefh@gmail.com.